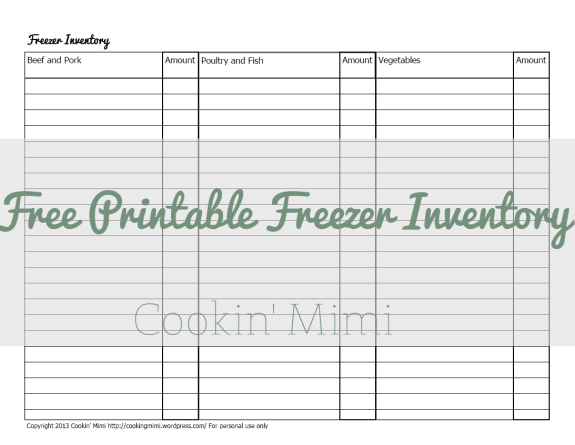 In order to keep track of all the delicious foods you have stored in your freezer I’ve made a freezer inventory sheet. It’s a two page PDF file ready to be printed and filled out. To cut down on ink and paper usage you can laminate or place in page protectors and use dry erase markers and wipe it off and reuse them.